Wyoming has over 2000 miles of groomed and ungroomed trails. The majority of the these trails are signed. 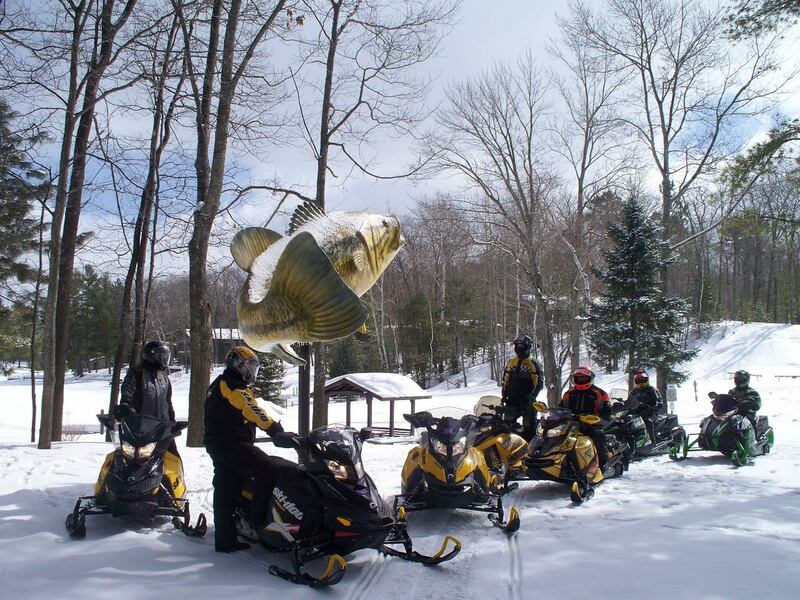 The snowmobiling trail system we has a great diversity of trail riding and scenic qualities. There are numerous meadows with powder riding throughout the system. 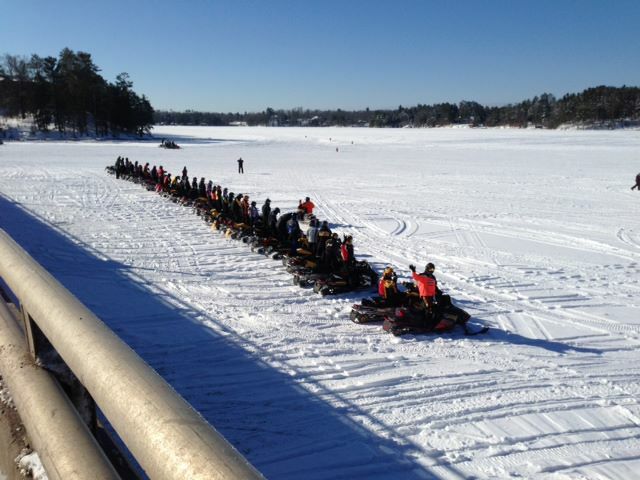 The snowmobile season is from December 1st thru April 15th. In west-central Wyoming alone, the Continental Divide Snowmobile Trail offers snowmobilers more than 360 of the state’s 1,300 miles of groomed trails, and connects to 660 miles of additional trails. Snowmobilers riding the Continental Divide can start in the town of Lander and end up in Yellowstone National Park. Other good entry points to the trail include South Pass, Pinedale, Upper Green River, Union Pass, Atlantic City and Dubois. While riding the Continental Divide, snowmobilers can ride into Targhee and Caribou National Forests in Idaho or intoYellowstone National Park. Whether your snowmobile vacation will include a variety of day trips, or a continuous journey across the mountainous terrain of the Cowboy State, Wyoming has the trail systems to accommodate your plans. 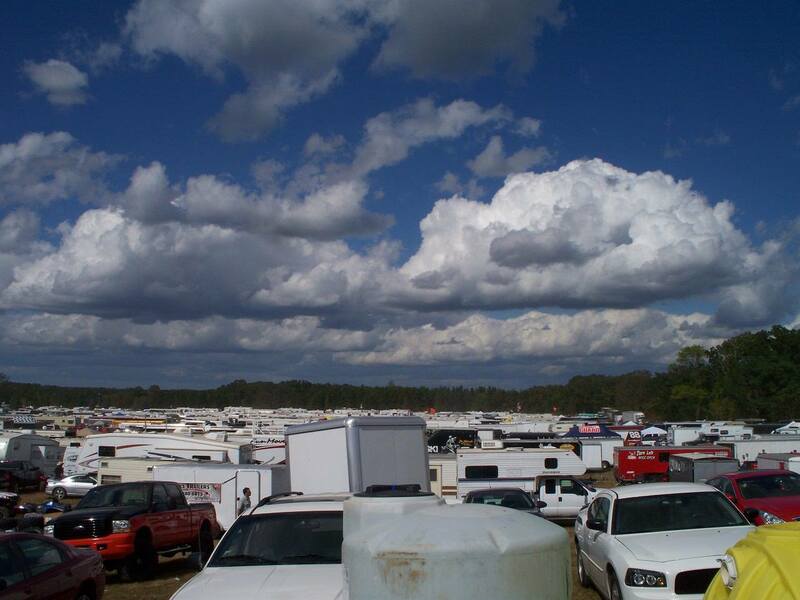 Departing from Lander, Spring Creek is only eight miles away, Union Pass ten miles and Bacon Ridge Junction 15 miles. If you decide to start somewhere other than Lander, it is an 18-mile trail ride from Bruce’s Bridge to South Pass, or 50 miles from Slide Lake to Togwotee. The Continental Divide Snowmobile Trail stretches from the town of Lander to the edge of the Grand Teton National Park. 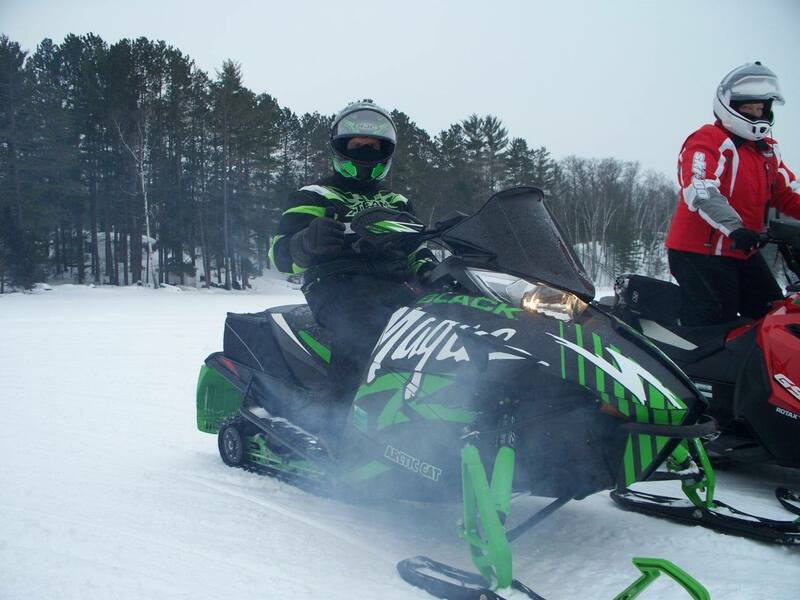 The trails are marked and groomed and connect long-established state trail systems with new trails to provide endless days of new snowmobiling adventures. Trails range from easy to difficult to accommodate riders of all capabilities. Favorite spots include the South Pass and Togwotee areas. Scenic sites and attractions that riders will enjoy along the way include views of the Oregon Trail, Oregon Buttes, Red Dessert and Wind River Mountain, as well as working ranches feeding cattle by sleigh. The Continental Divide was made famous by the consistent, deep powder that remains throughout the season. While traveling through the mountains and valleys of central Wyoming, snowmobilers may encounter moose, deer, bison, elk and other wildlife near the trails. During the early spring months it isn’t uncommon to see grizzly and black bears roaming the wilderness as well. Snowmobiling season in Wyoming begins in mid-December, and generally lasts until April. 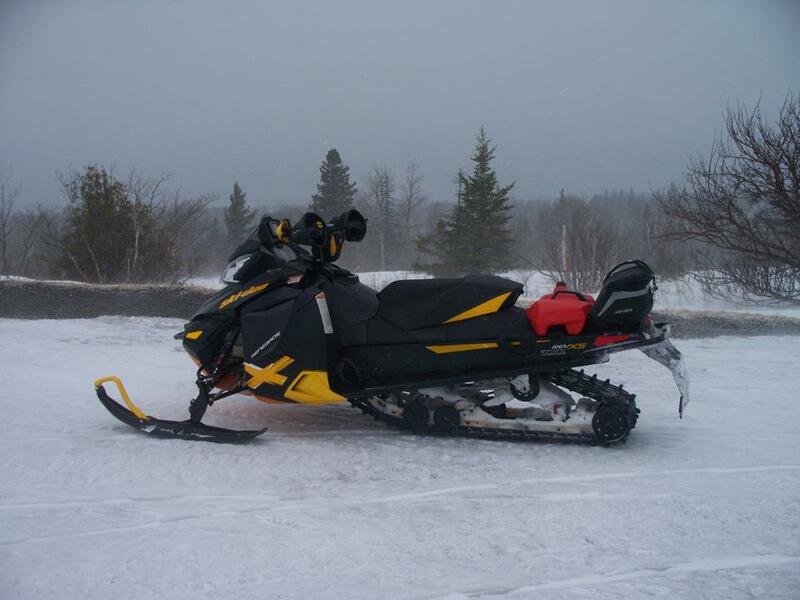 The best snowmobile conditions are found during January, February and March, but the trails are well-marked and groomed throughout the season. The early and late portions of the winter season are commonly quiet, offering travelers and easy-paced trail experience. In the mountain elevations, the area receives approximately 600 inches of snow and the average temperature is about 20 degrees F. Due to high elevations and mountainous terrain, weather in the area can be unpredictable. For current weather conditions, riders should contact the Wyoming Highway Department (road and travel report) at 888-996-7623. As recent as 1986, the Contin-ental Divide trail network was only an idea. By 1987, with the help of numerous organizations and local area volunteers, talk became a reality. Many of the state trails were already in existence, and with the help of interested enthusiasts, new trails were created, and the existing trails were linked, creating the popular Continental Divide Snowmobile Trail. Wyoming registers more than 17,000 snowmobiles and welcomes travelers from all over the world. Wyoming state law requires that all snowmobiles be registered. Resident and non-resident snowmobiler user fees are required by Wyoming state law. Revenues generated through user fees go to the Snowmobile Trails Fund which is used for snowmobile trail grooming and maintenance. Non-residents may order a fee decal packet by phone or mail. This packet, which includes the trail maps for $28 (includes $3 for shipping and handling), may be obtained from wyo-park.com or call toll-free 877-996-7275. Major credit cards are accepted. Maps alone are not available from this source. For more information, call the State Trails Field Office at 307-335-8229. Airports near the trail system are located in Riverton, Cody, Jackson and Rock Springs. The trail system can be accessed via Highways 287 / 789 from Rawlins; Highways 191/28 from Rock Springs; and Highway 26 from Riverton. Registration/Permits: Wyoming state law requires that all snowmobiles be registered. Registration fee/trail permit is $25 and can be obtained by calling 877-996-7275. Major Credit Cards Accepted. Proof of payment is in the form of a decal which must be displayed on the exterior of the snowmobile. Resident registrations and nonresident snowmobile user fees are required by Wyoming State Law. These annual fee revenues are used by the Snowmobile Trails Fund for trail grooming and maintenance. 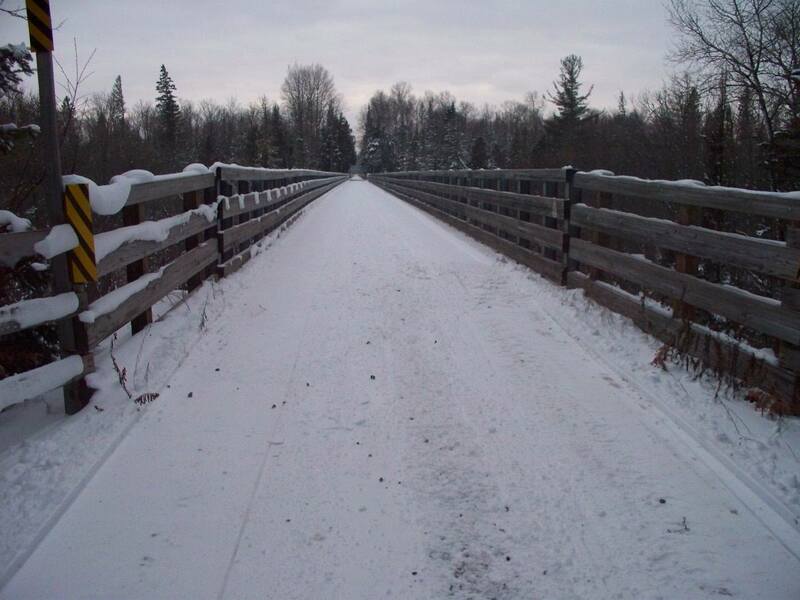 Road/Trail Usage: Roads are open to snowmobiles unless closed because of snow depth. Can legally ride road shoulders and ditches. No speed limits.